I dropped Jen off at the supermarket and was told “I’ll be back in 10 minutes”, so what else was I going to do when presented with an underground car park and my MX-5? This shot was taken and processed (and car returned to where I’d dropped Jen off) before she got back. Much more fun than shopping! Hopefully I’ll get a chance to shoot here with my proper camera soon. 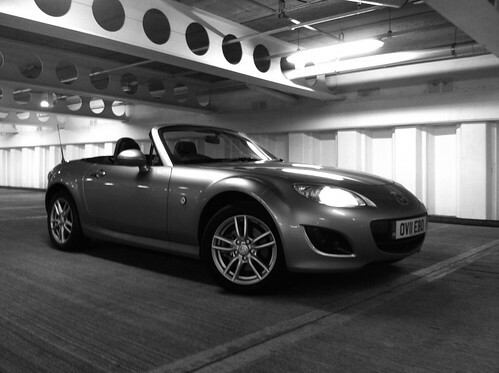 This entry was posted in Cars and tagged Black & white, iPhone, Mazda, MX-5, Photo by Lewis. Bookmark the permalink.